“He was a foe without hate; a friend without treachery; a soldier without cruelty; a victor without oppression; and a victim without murmuring. He was a public officer without vices; a private citizen without wrong; a neighbor without reproach; a Christian without hypocrisy and a man without guile. He was a Caesar without his ambition; Frederick without his tyranny; Napoleon without his selfishness; and Washington without his reward. Yet, certain filthy, America-hating animals tear down memorials to American [Confederate veterans were made US veterans by act of Congress] courage and sacrifice. I had a few German friends who were WW2 vets. I’ve asked myself what kind of hateful animal would tear down their gravestones? (One is still living). I was close to an old German lady who’s son died as a Luftwaffe pilot in 1945. She always kept a framed photo of him in uniform at her home. What kind of hateful animal would tear it down? Good post and good comments. Thank you all. This disease of revising history and destroying monuments is a disgrace. It won’t end with defacing just Confederate’s monuments. I fantasize a certain Hogwarts student bringing a statue under attack to life with her wand, and cowardly Leftist thugs suddenly facing a real soldier with a real gun. What a trail of yellow and brown they would leave to the nearest “safe space”! 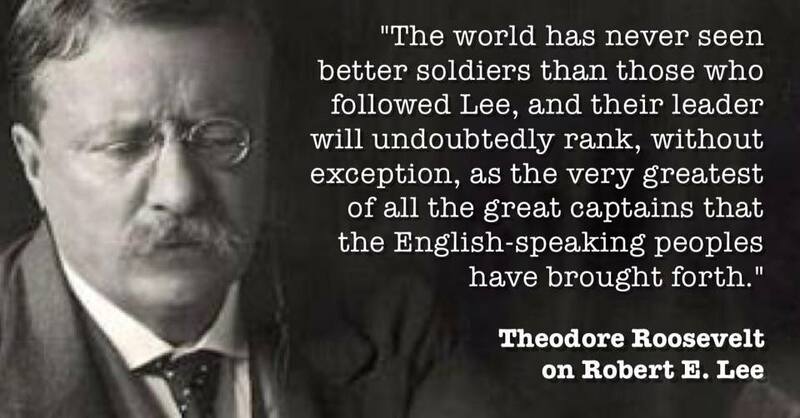 Lee lost his home and his country serving for the Confederacy. It did not cost him his life but it did cost him a grand estate. All fallen soldiers are citizens and are heroes, never to be changed. To remove their gravestones and monuments removes all laws concerning Last Wills and Testaments. This is the imposition of atheism on the people by the state. The atheist does not believe that the human soul is immortal and that a fallen soldier’s citizenship is eternal.